You use fresh ingredients in your meals, why not freshen up a kitchen with remodeling products from ProSource® of Allen. 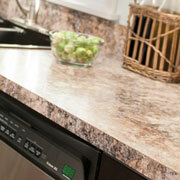 Trade pros and homeowner clients alike enjoy the wide variety of high-end kitchen products we offer in our showrooms. Make sure to take advantage of our custom kitchen design services when you work with our team. Remodeling a kitchen doesn’t always mean tearing up the floor, or replacing the countertops and appliances. Sometimes, a simple refresh of the kitchen cabinets can make all the difference. 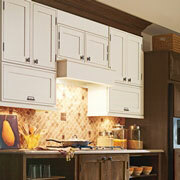 ProSource offers beautiful cabinetry at wholesale prices. 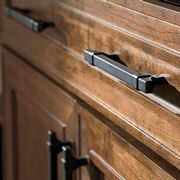 To make an impressive visual impact in a kitchen, take the cabinet hardware into consideration. With a wide variety of knobs, handles, and pulls available, you’re sure to find the hardware that best fits your kitchen remodel project’s new look. Our kitchen remodeling specialists are your Allen area experts in all things countertop related. From design to style, we’ve got the products that will make a kitchen countertop bring the room to life. Be sure to visit our showroom to see our granite, marble, and quartz countertop options. 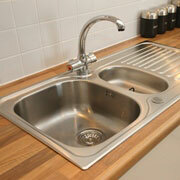 The kitchen sink is rarely thought of until it needs (or wants) to be updated. At ProSource of Allen, we offer single, double, and even triple basin sinks in beautiful materials like cast iron, stainless steel, and acrylic. A kitchen faucet adds a refined stylistic flair to the sink. 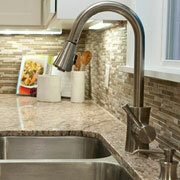 ProSource has a kitchen sink faucet that will effortlessly pair with the decor of any newly remodeled kitchen.